Residents of Taurama can now look forward to having their much maligned access road corridor transformed from its current rural condition to a brand new four lane highway. Since the mass purchase of blocks from customary landowners of Taurama by citizens and businesses along the Taurama corridor, access road conditions have been in a very bad state. 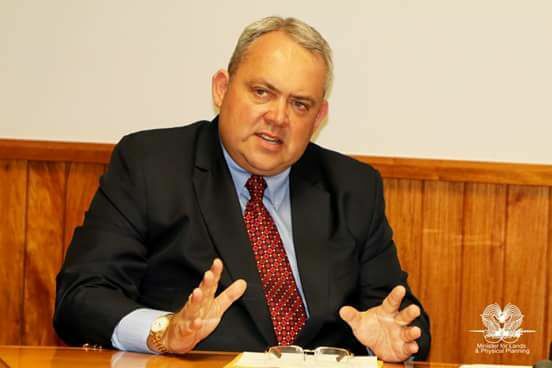 Following the completion of the main access road from Vadavada to Six Mile, Moresby South MP Justin Tkatchenko revealed that with the support of NCD Governor Powes Parkop, the four lane road project from Tuna Bay to Taurama Beach has been approved. “It is a two lane highway that will go all the way to the junction the four lane road all the way to Taurama Beach and to Tuna Bay,” Mr Tkatchenko said. Mr Tkatchenko said Global Construction has been awarded the contract to construct the road and water pipeline will be included. He said as part of the ultimate benefit of a quality road, property owners may have to move their fences to make way for easements and the road. He said the easements will have to be put in place now before all corridors are taken up with the number of stricture that continue to be put out without any guidelines. “It is better to do it now before they start bruilding even more big buildings or property infrastructure,” Tkatchenko said. “At the end of the day what NCD is doing is to the benefit of the people.